HILARY SHAGER is the Associate Director for Programs and Management at the University of Wisconsin Institute for Research on Poverty. From March 2014 to March 2018, she served as the Associate Director of the La Follette School, responsible for administrative oversight of the school’s activities; educational programming; and teaching professional development, evidence-based policymaking, and program evaluation. 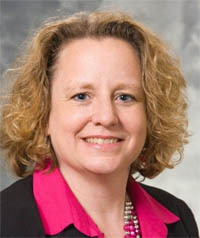 While at La Follette, she also directed the Wisconsin Family Impact Seminars and Committee Connect, outreach programs with the Wisconsin State Legislature. Previously, she worked as a research analyst at the Wisconsin Department of Children and Families, where she designed and conducted evaluations of the state’s early care and education, child welfare, Temporary Assistance for Needy Families (TANF), and child support programs. She is a graduate of the University of Wisconsin-Madison, where she received her Ph.D. in public policy with a minor in education sciences in 2012, and is also a proud La Follette School alumna who received her Master of Public Affairs in 2005. Prior to her graduate studies, she taught high school and middle school language arts and social studies in Fort Atkinson and Madison, Wisconsin. Dr. Hilary Shager gave an excellent presentation on her topic of research on poverty, as certainly befits the Associate Director for Programs and Management at the University of Wisconsin Institute for Research on Poverty. And the reach and importance of the program is indeed crucial. However, it was the DreamUp program portion that totally grabbed my attention. What an insightful way to engage the community and find out what those at the base level of the social pyramid actually think and need. Instead of assuming “we” (a.k.a. academicians) know the problems, and therefore the solutions, Dr. Shager has taken a page from the heart of the Wisconsin Idea playbook – ask! And then LISTEN! Ask those actually affected by the problem. Ask the community in general. Draw upon those most affected to define the problem and propose possible solutions and paths. Then, once that is in place, engage the University expertise to put the power of research and analysis to bear. This, to me, is the heart of the Wisconsin Idea. The DreamUp Wisconsin program has me excited – to see what types of solutions get generated, and then to follow how they get implemented and how the results vary across populations and areas. To me, watching a program like this grow and unfold is as good as watching “This is Us” or “House of Cards”, or maybe “Survivor” or “America’s Got Talent” – always looking forward to the next amazing thing. My excitement level is high to see the season closer – which of the ten finalists will move forward to the next level. Next up – top 10 winnowed to top three in December. Then which one gets further support from Schmidt Futures! A cliffhanger, for sure!